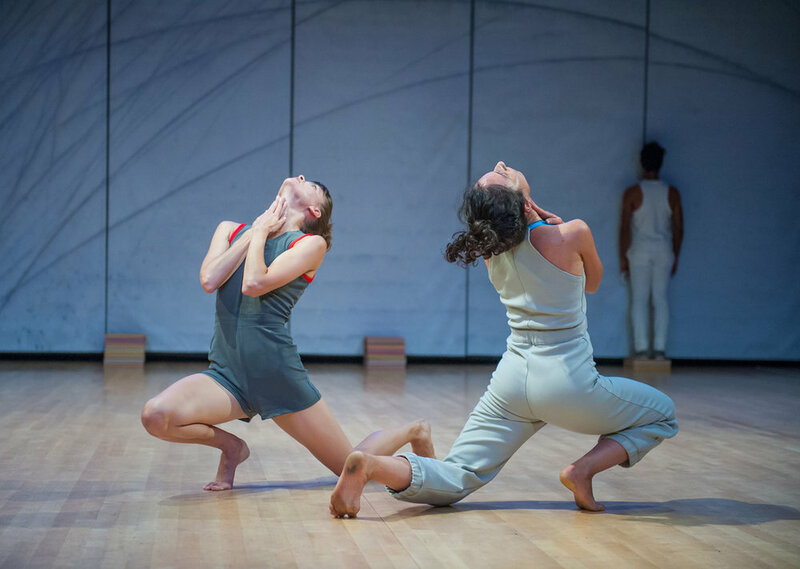 FIND YOURSELF HERE is the culmination of a two-year collaboration between three dancers and three visual artists using movement as a potent form of communication across disciplines. This work brings together dancers Joanna Kotze, Stuart Singer, and Netta Yerushalmy with visual artists Jonathan Allen, Zachary Fabri and Asuka Goto and composer and sound designer Ryan Seaton, who mixes sound live for each performance. The work premiered in New York at the Baryshnikov Arts Center in September 2015.